Unscramble 8 past questions into proper order to make proper questions, then change the (irregular) verb into the past form to make answers. 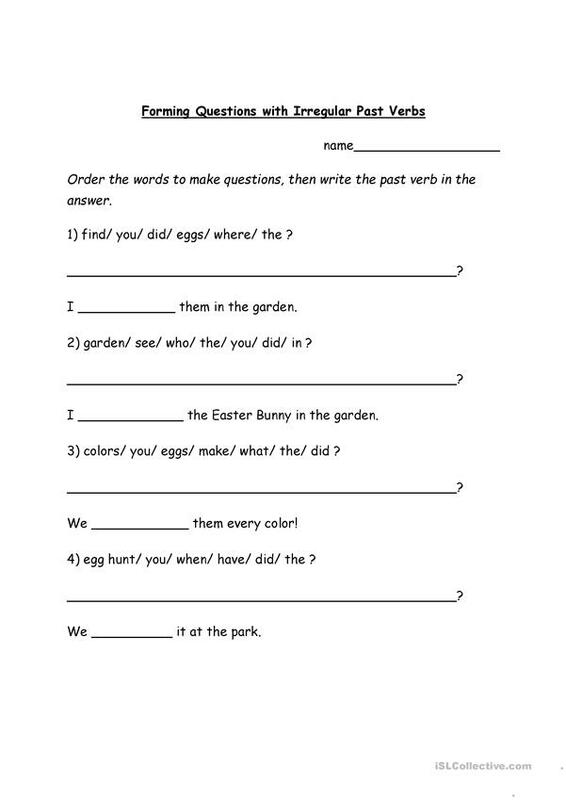 Questions and answers have an Easter theme. The above printable, downloadable handout is intended for elementary school students and adults at Elementary (A1) and Pre-intermediate (A2) level. 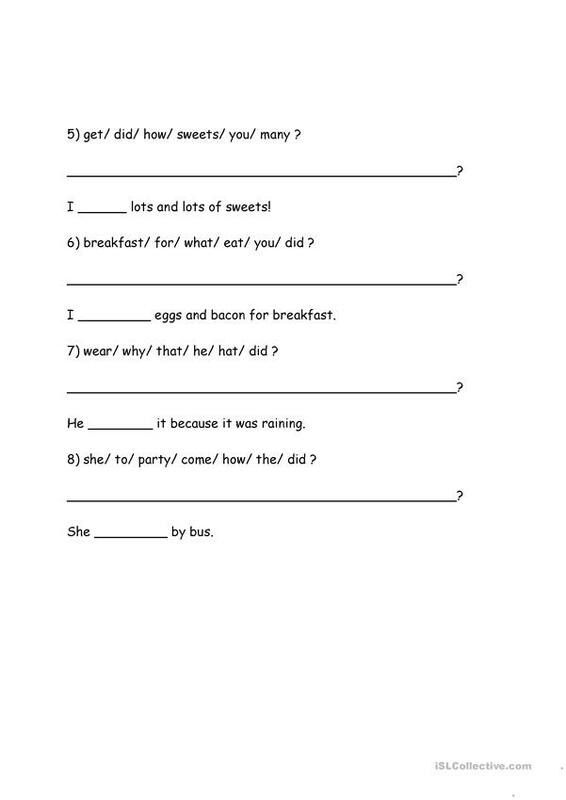 It is great for revising Questions in English, and is a valuable material for improving your pupils' Speaking and Writing skills. It is focused on the vocabulary topic of Easter.